Puma is closing the loop on itself. The sportswear manufacturer is launching a line of Cradle to Cradle-certified apparel, shoes, and accessories—the first of its kind to bear the mark—that will either be biodegradable or recyclable through the sportswear manufacturer's take-back program. Announced Monday, the "InCycle" collection will address not only Puma's environmental footprint but also those of its customers, according to Franz Koch, the company's CEO. Puma’s 2010 profit-and-loss statement linked 57 percent of its impact with the production of raw materials. After Puma’s 2010 Environmental Profit and Loss Account linked 57 percent of its impact with the production of raw materials (leather, cotton, and rubber, included), the brand turned to “clever raw materials” such as biodegradable polymers, recycled polyester, and organic cotton. Among the products on tap is the Puma InCycle “Basket,” a biodegradable sneaker made of a blend of organic cotton, linen, and Apinat, the same bio-plastic Stella McCartney used for the soles of her Fall/Winter 2012 footwear collection.. When collected through Puma’s “Bring Me Back”, the shoe will be shredded and transported to an industrial composting facility system, where its materials will break down into natural humus. Derived from post-consumer plastic bottles, the Puma InCycle track jacket boasts a composition of 98 percent PET polyester for maximum recyclability. At the end of its useful life, the jacket can revert into polyester granulate, which then serves as a secondary raw material for future products. 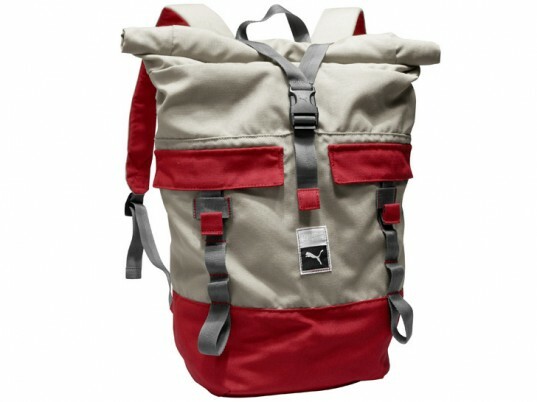 Likewise, the Puma InCycle backpack, which consists of polypropylene, will head to the original manufacturer in China to produce new backpacks. After Puma's 2010 Environmental Profit and Loss Account linked 57 percent of its impact with the production of raw materials (leather, cotton, and rubber, included), the brand turned to "clever raw materials" such as biodegradable polymers, recycled polyester, and organic cotton. 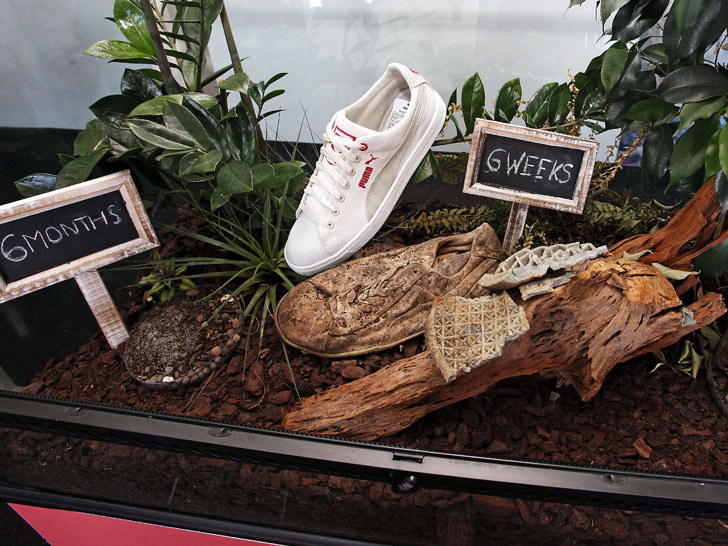 Among the products on tap is the Puma InCycle "Basket," a biodegradable sneaker made of a blend of organic cotton, linen, and Apinat, the same bio-plastic Stella McCartney used for the soles of her Fall/Winter 2012 footwear collection. When collected through Puma's "Bring Me Back", the shoe will be shredded and transported to an industrial composting facility system, where its materials will break down into natural humus. Derived from post-consumer plastic bottles, the Puma InCycle track jacket boasts a composition of 98 percent PET polyester for maximum recyclability. At the end of its useful life, the jacket can revert into polyester granulate, which then serves as a secondary raw material for future products. The Puma InCycle backpack, which consists of polypropylene, will head to the original manufacturer in China to produce new backpacks.